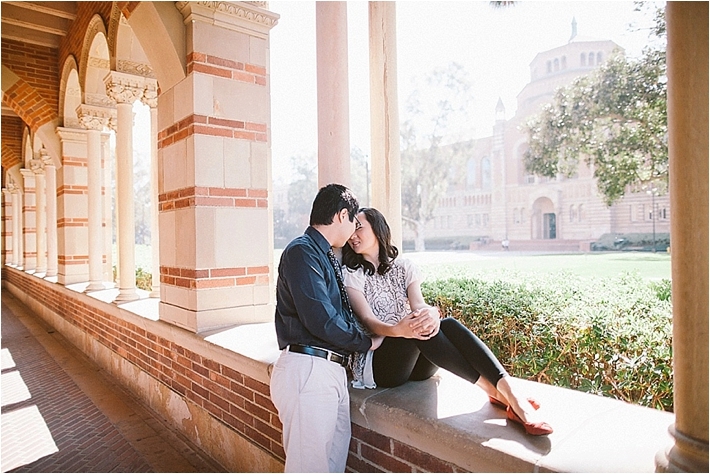 I simply adore engagement sessions and believe that it's something every couple should do with their wedding photographer. 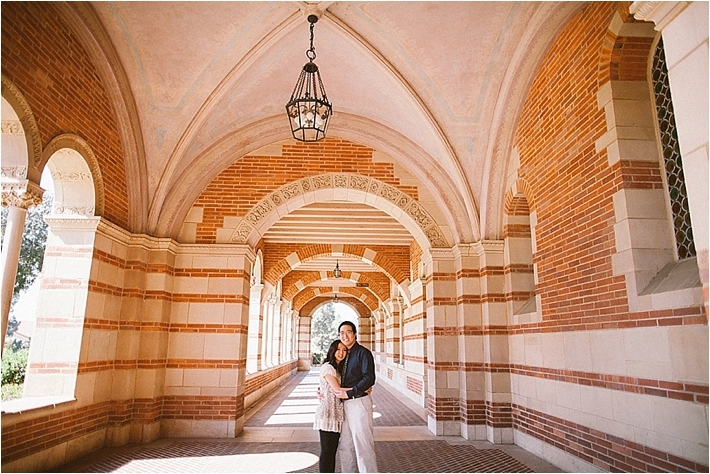 This engagement session took place at the UCLA campus and these two couldn't be any sweeter. 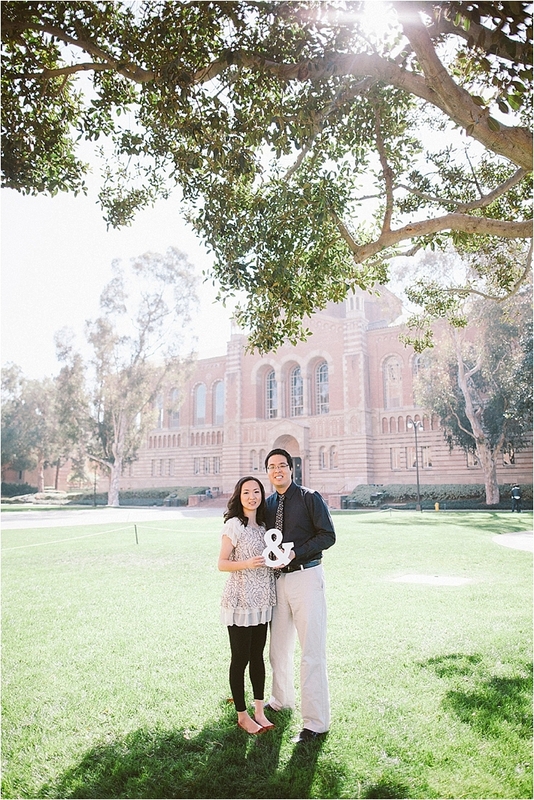 Their love story: We met on the first day of graduate school at UC Berkeley. I thought Ying was a cute girl and I wanted to befriend her and see if there was any chemistry. 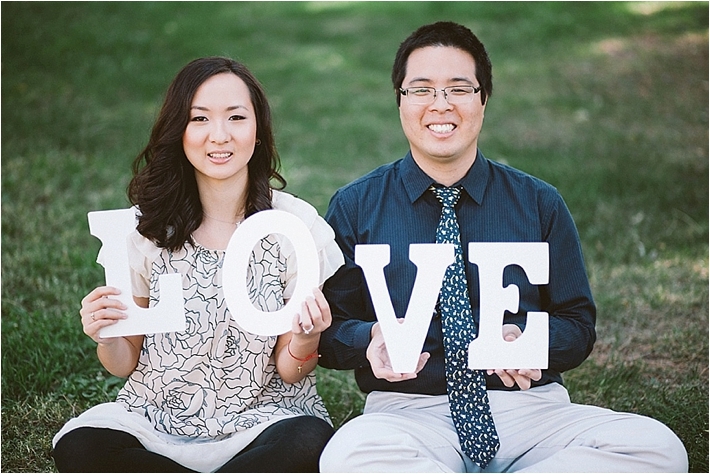 She was friendly and we hung out a bit in the first half of the first semester, but drifted apart in the second half. I later found out that I unknowingly said something to tick her off, which caused the separation. So, the second semester rolled around and Ying invited me and other Chinese students in our class to celebrate the Lunar New Year. 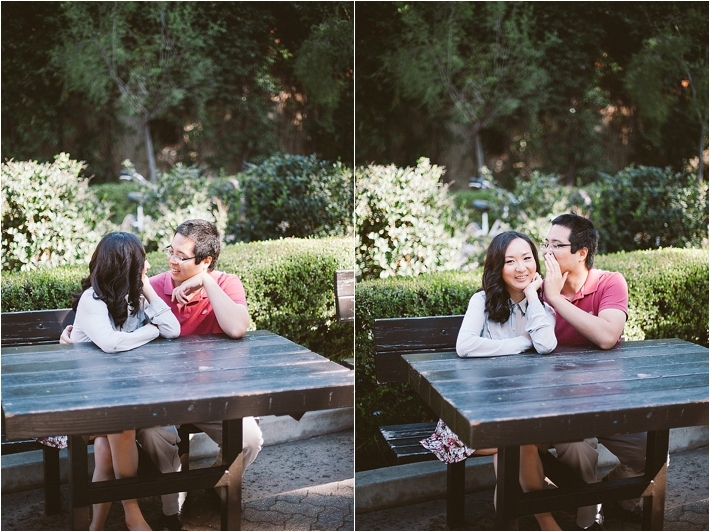 This time around we really hit it off well, and the rest is history as they say. How he proposed: We took a train vacation from Los Angeles to Seattle, enjoying the scenery and relaxing all the way there. 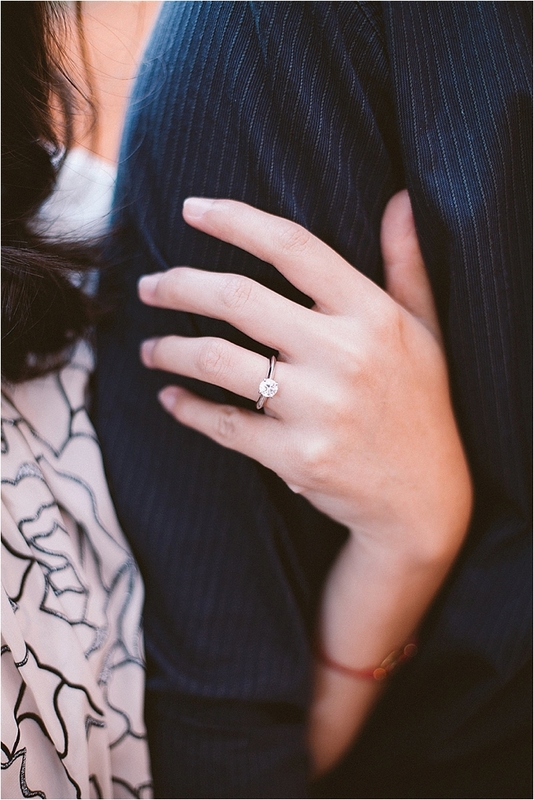 During a particularly scenic section of the journey, I prepared the ring while she was busy showering, and surprised her afterwards.